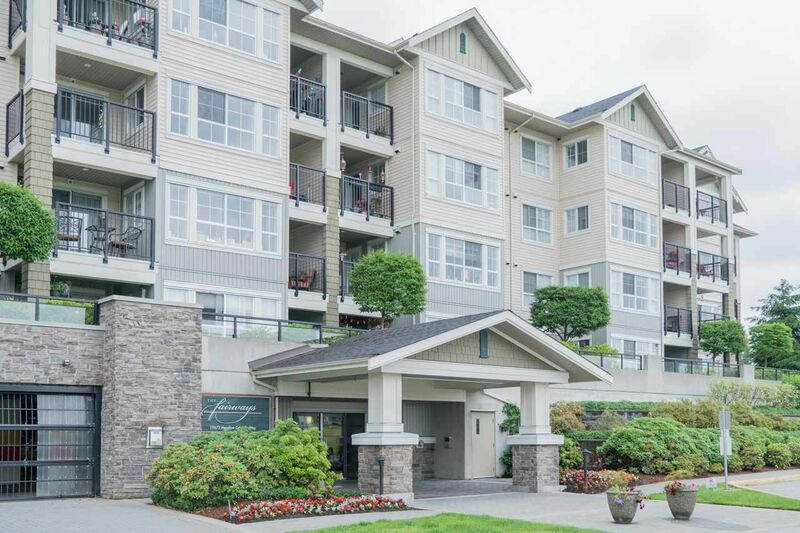 THE FAIRWAYS - Huge 1271 sqft 2 bed 2 bath & den corner unit in the desirable Fairways complex! Large bedrooms on opposite sides & tons of closet space. Kitchen with island, pantry, stainless steel appliances, granite counters and shaker style wood cabinets. This unit boasts the largest covered patio in the complex out of 268 units! 2 parking stalls, 1 storage locker, pet friendly, onsite caretaker, clubhouse/amenity room, gym, bike storage & sauna. Interior carpeting recently replaced, VERY large contingency fund. Everything is within walking distance, you will love living here.